Dr. Prasad and Dr. Tompkins are experienced surgeons, proficient in the use of in-office sinus dilation technologies. 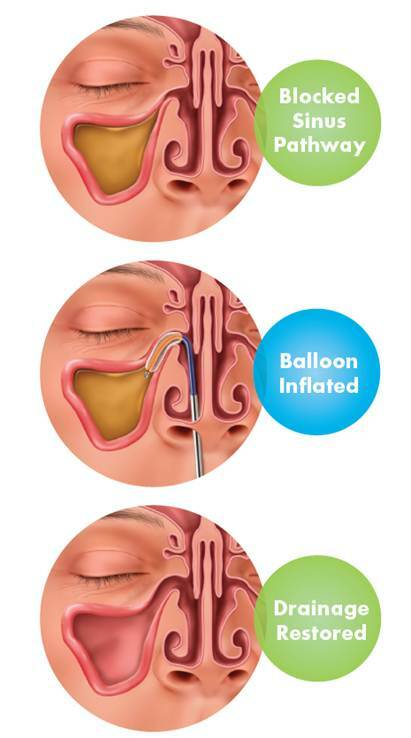 Make an appointment at our Maryland, DC, or Virginia offices today to determine if balloon sinus dilation is right for you. [i] Stankiewicz J, Truitt T, Atkins J, Winegar B, Cink P, Raviv J, Henderson D, Tami T. Two-year results: transanal balloon dilation of the ethmoid infundibulum. Int Forum Allergy Rhinol. 2012 May; 2(3): 199-206. [iv] Stankiewicz J, Truitt T, Atkins J, Winegar B, Cink P, Raviv J, Henderson D, Tami T. Two-year results: transanal balloon dilation of the ethmoid infundibulum. Int Forum Allergy Rhinol. 2012 May; 2(3): 199-206.